Electoral reform and the Left. I like to play games. Video games, board games, card games, passive aggressive games with neighbours about the bins/parking spaces, the “Blame game” with my Branch treasurer when anything goes wrong at work! One of the things I notice about games is how the rules of those games effect the way people play them. Now in my family we have a long standing schism about Monopoly. On the one hand you have the pure hearted, wise, intelligent folk on the side of the angels who believe that the correct rules of monopoly are those written down in the rule book to monopoly. On the other hand you have the lickspittle, heretical, dirty dogs who like to pick and choose which rules are applied, though how and why a particular rule has been chosen for the chop I’ll never know. The rule at the heart of this schism is about what happens if a player lands on an unpurchased property. The rules state that this property is put up for auction, the heretics think that it should remain unpurchased until another player lands on the property. Depending on who wins the argument the game is dramatically changed. If there is an auction then the landing player needs to consider not just if they want the property, but how much they need to prevent another player form buying it. The calculation is very different form if there is no auction. So why am I writing about this in a blog about electoral reform? It is to demonstrate why the rules of a game effect how that game is played. Another example for football fans can be found here where Jonathan Wilson dissects the changes to the offside rule in 2005. Politics as practiced by both parties and voters is in some ways a game, and the rules of the game directly affect how it is played. 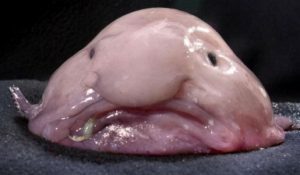 Currently the rules of our first past the post electoral system mean that in about 400 constituencies (conservatively it is probably far more) the outcome is known in advance, places where a Blobfish with the correct rosette would get elected and the votes there basically don’t count. (Barring seismic change like the industrial revolution, mass franchise extension or an independence movement). Parties, and voters, in these places know their votes don’t really count, and act accordingly. Then you have a number of constituencies that are “up for grabs” and in most of these it tends to be a straight choice between two parties (there are comparatively few three way marginals). For the voter this often leaves them with a tactical choice of the lesser of two evils, forcing us to vote against the candidate we don’t want to get in. For the parties this means focussing their campaigning and crucially their policy offer, in a small number of constituencies where they feel there is a chance of winning. And within those constituencies because most voters are tribal and tend to in the main vote the same way from election to election there is a huge inbuilt bias in favour of them targeting the small number of voters who are likely to change the way they vote from one election to the next. Every person in the UK might be entitled to a vote, but not all votes are created equal because of the system we have. And because this is a known factor to both political parties, and voters, both have their behaviour influenced by this. I live in a key marginal, where in the last several elections the vote has been close, and the seat has changed hands when the government did. As someone who wishes to use my vote to gain the maximum possible advantage there is no way I feel I can vote with my conscience. It is gonna be the Labour PPC or the Tory PPC and given that choice there is no contest for me. But because the system forces parties to game the way it does it is no wonder people get disillusioned with the paucity of choice offered by the political parties. I long for the day when I get to cast a vote for something I believe in rather than having to just cast my vote against something I want to prevent. But if the rules don’t change, the game won’t either. In a different world, under a different system, I probably wouldn’t be making the case for why Corbyn has to go. So let’s imagine we have moved to some sort of proportional representation. How is that going to affect the game? Well for a start every vote is likely to count, so there is no more being a socialist in the Tory/Lib Dem marginal and feeling that you have nowhere to go if you don’t want to waste your vote but can’t bear to vote Yellow or Blue. Providing your party of choice, wherever they are on the political spectrum, has a reasonable amount of support in your voting unit they you are likely to get represented by your party of choice. It would allow it to make sense to vote with your conscience. It would even allow the possibility of new ideas, new parties, to form in line with a changing world. For those in the country who like the idea of a Syriza or a Podemos coming along, this could happen in PR in a way I can’t really happen in UK General Elections under FPTP. But the really interesting thing for me is how it would impact on parties. Firstly it would make just appealing to the couple of hundred thousand swing voters in swing seats entirely redundant. They would have to broaden their appeal because picking up different sorts of voters, in different sorts of places, would suddenly become crucial to their electoral prospects. Imagine that, parties actually having to court marginalised voters because they would have the *expectation* that it could make a difference. It would radically transform how our political system worked, it would allow and encourage different and new voices into the system. Now I suspect that there are dogged tribal loyalists in both the Labour and Conservative parties who would vehemently oppose this democratisation of our democracy. But this is happening anyway. We are moving to a more pluralist society, but our system cannot cope with it. It used to be that a party needed 42+ vote share to form a majority government. Now it is in the mid 30s. And millions of supporters of the Greens, UKIP, Left of Labour parties are denied any proper representation. I’m a Labour loyalist, and I believe in socialism. But I am also a democrat to my core, and it is just morally wrong that the millions of people who vote in this way are not properly represented in our “democracy” whatever I might think of their parties and their policy offerings. Also from a left position, as I argued here during the AV referendum, there is a lot of evidence that in more pluralist democracies income inequality is reduced. Our system is almost designed to prevent radical left wing policies form having a chance to be put into place. If you really want to see someone like Corbyn having a good chance of putting his beliefs into practice then you really need to get on board the electoral reform train. And more than that if it doesn’t happen, and the Labour party splits, then you might be waiting a very, very long time before even an imperfect sell-out Labour government happens. We should be very, very careful what we wish for. I’m left, but I think Corbyn should go.